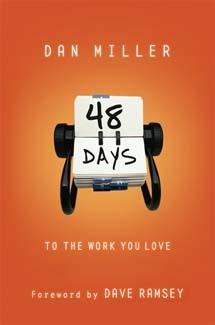 48 Days to the Work You Love is a strategic program designed to help you move ahead in your career with the confidence, boldness, and enthusiasm that only comes from having clear personal understanding and a plan of action,” says author Dan Miller. In this interactive study you have the opportunity to explore the changes in today’s job market, understand yourself, go through the traditional steps of finding a career, and also look at the expanding area of nontraditional work. Answer each question honestly, and it will guide you to clear patterns that identify the right plan of action for you.” * The next-step companion to the popular 48 Days to the Work You Love trade book. * Special features include: The 48 Day Schedule, Creating a Life Plan,” and two inspiring audio CDs with work/life lessons from Miller.